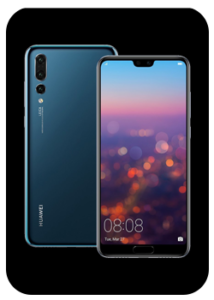 The P20 Pro handset is where the Huawei started to really battle with the best leaders of smartphones market, and Mate 20 Pro is where it toke this battle to the next level. This two phones are among the top 5 Android Smartphones in the market now, and in this articles we’ll do side-by-side for them to show you the difference between these two flagships. DESIGN AND SCREEN SIZE: When it comes to the size, the Huawei Mate 20 Pro is absolutely a beast. Its 6.39 inches and eliminated bezels make it one of the biggest smartphones available until this moment, it is only 0.01 inch smaller than 6.4 inches of the Galaxy Note9. Meanwhile, the P20 Pro is 6.1 inches which is almost dinky by the standard bezels on the edges, especially, the fingerprint sensor that is built-in beneath the display. When it comes to the notch, the Mate 20 Pro has the same dimensions and purposes just like the iPhone 10S, the reason for that is the advanced 3D modeling. 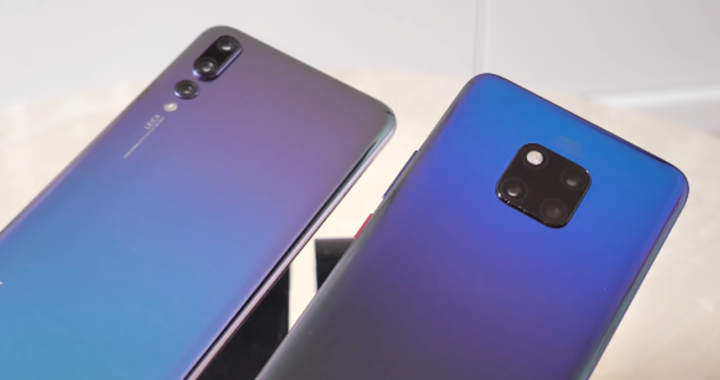 Though, the Mate 20 Pro screen is so much bigger, it is actually more or less the same dimensions as the P20 Pro. It’s quite impressive both are quite comfortable to hold as well. 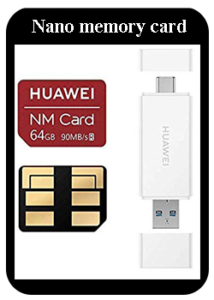 Both have a type-C port for charging and data transfer, although there is no a 3.5 millimeter headphone jack on both handsets, so, you’ll have to use the dongle if that’s something important for you. And there is and IR blaster on the top phones, which I do really like because it so functional and I use it too much to control my smart TV and some other devices. The P20 fingerprint sensor houses beneath the display in the physical button, while in the Mate 20 Pro it’s a bit more subtle because it’s actually built into the display itself. And while we are in the security section, both phones have face full recognition built-in. So, you just need to set the device in front of your face and it’ll quickly go straight into the desktop without any hanging like what we see in some other phones. Because, the Mate 20 Pro uses the more advanced 3D modeling which can unlock the device even when it’s in a sleep screen mode. The displays panels on both are closely thee same, you’ll struggle to notice the difference between them. 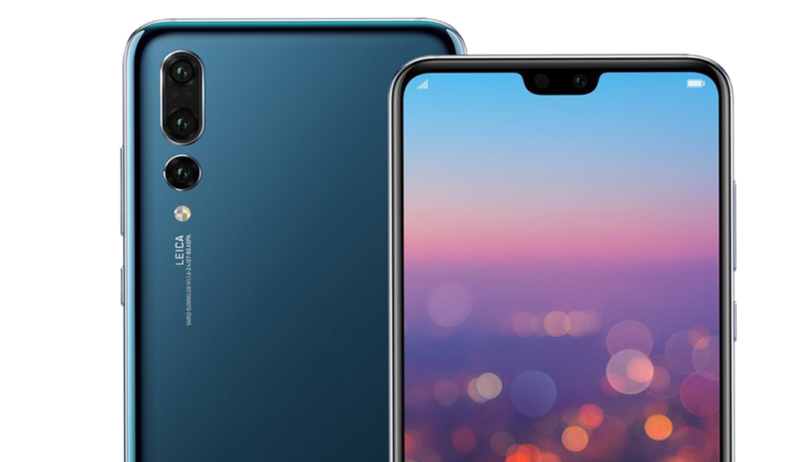 The Mate 20 Pro is quad HD+ display with 3120 by 1440 and the Huawei P20 Pro is full HD+ with 2244 by 1080, both handsets provide crisp and stunning images with a tiny bit advantage for the Mate 20 Pro. Both the P20 Pro and the Mate 20 Pro run on an Android, the P20 Pro is still run on an Android Oreo although it should get an update to Android Pie, which is running on the Mate 20Pro eminently. COLORS: They both come in a number of different hues, both have sports and glossy glass surfaces so nice and shiny, they do scuff up a little bit unfortunately especially when it catches the light. But, you do get a nice transparent cover with both phones bundled in the box. So, you can dress it your phone if you want more prevention. RESISTANCE: Both are dust and water resistance, the ip67 on the p20 pro and the Mate 20 Pro gets a slight boost to ip68, so definitely either will do the job in the swimming pool. 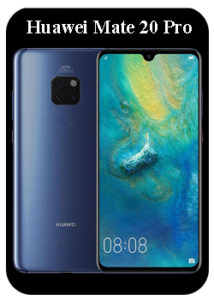 CHIPS AND PERFORMANCE: However, when it comes to the performance the Mate 20 Pro will remain at the superior Stock in the new Huawei Kirin 980 chipset and 6GB of RAM compared with the older Kirin 970 chips on the P20 Pro which is also 6GB of RAM, but honestly the Kirin 970 still handles life pretty damn well. The Mate 20 Pro for some reason it doesn’t support HD or HDR graphics just yet unfortunately, but I’m pretty sure that’ll be coming imminently. The Kirin 980 can definitely handle it as you can imagine, but of course on the P20 Pro, you do get already support for the fall graphics, you can boost it all the way up you get nice smooth frame rate no matter what you’re doing. And of course both of these phones supports GPU turbo that just gives you a nice consistent frame rate when you want gaming. So again no worries whatsoever. We were impressed by the P20 Pro battery life, generally it lasts between a day and a half and even two days with some pretty intensive views thanks to that mighty 4000mAh, and you’ll get a bit of Huawei’s supercharged in the box as well to power it back up quickly. However, the Mate 20 Pro comes with some extra enhancement in terms of battery life, thanks to 4200mAh battery which is slightly bigger. And you’ll get even better version of supercharger at 40-watt capability, which means even faster charge. You can get close to a full charge in just 60 minutes, which is really impressive. 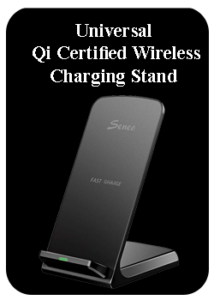 The Mate 20Pro also have a full support for wireless charging as well as power reverse feature, which turns your Mate 20 Pro into a wireless charger, to charge other devices that support wireless charging. 182GB as standard onboard storage, which is enough of room for all of your media and Apps that you may install in the devices. 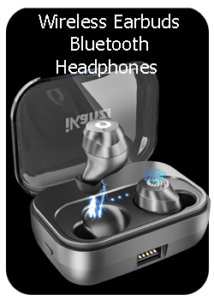 And they support expandable Nano memory card in case you need some extra space. When it comes to the camera, both of these handsets support the Leica branded smartphone camera, with some different hardware and software too. The P20 Pro is a 40 megapixel RGB lens with an f/1.8 in the primary lens, exactly the same as on the Mate 20 Pro. However, when it comes to the secondary lenses, the P20 Pro has a 20MP f/1.6 monochrome lens. Whereas, the Mate 20 Pro changes that up, you get a 20MP ultra-wide lens instead and an F/2.2 which basically adds a bit more flexibility allowing you to get a nice wide angle shot. And both Mate 20 Pro and P20 Pro also offer an 8MP third lenses at telephoto, or stuff it up to get you nice up and close to your subjects, and also the 2.4 and it’s got built-in OIS to help give you a nice crisp shot. Despite the fact that the Mate 20 Pro does offer some significant updates including the ability to wirelessly charge or reverse, the P20 Pro is still competing with it in different aspects and is still a great handset. As you see the Huawei P20 Pro still a great handset, but the Mate 20 Pro does offer some significant updates including the ability to wirelessly charge or reverse while each wirelessly charge. And in-screen fingerprint sensor as well, which is snazzy stuff. And the camera tech has been updated too and of course for that Kirin 980 chip that is much more up to date. Tagged huawei mate 20 pro vs p20 pro, huawei mate 20 pro vs p20 pro battery life, huawei phones, mate 20 pro vs p20 pro camera, mate 20 pro vs p20 pro gsm, mate 20 pro vs p20 pro price, mate 20 pro vs p20 pro reddit, mate 20 pro vs p20 pro specs, mate pro 20 vs p20 pro.